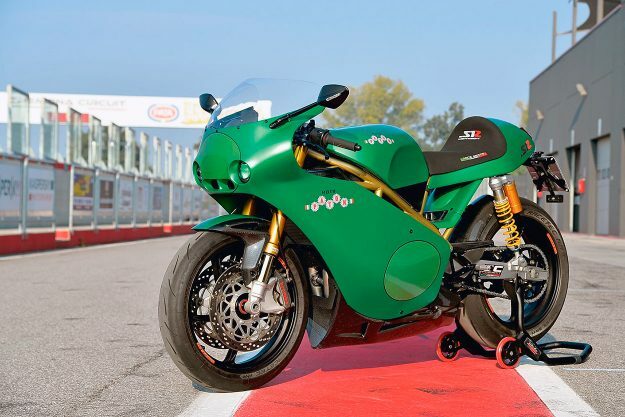 Released to celebrate Paton’s 60th anniversary, the S1-R is a street-legal replica of Dunlop’s race winner. 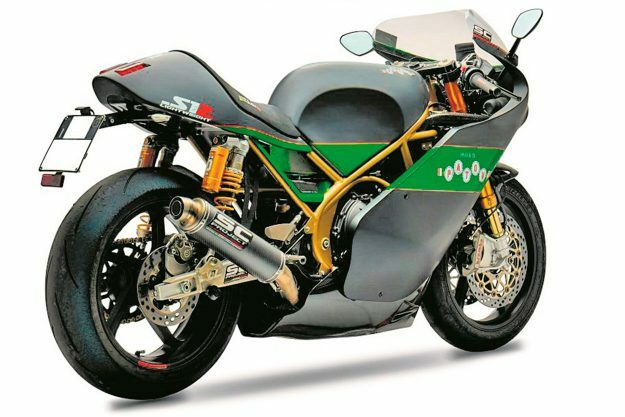 Powered by a tweaked version of Kawasaki’s 650 twin, the S1-R develops 80 hp thanks to high-compression pistons, clever head work and a Power Commander. Suspension is top notch, fully adjustable stuff from Öhlins, and braking is tackled by Brembo. 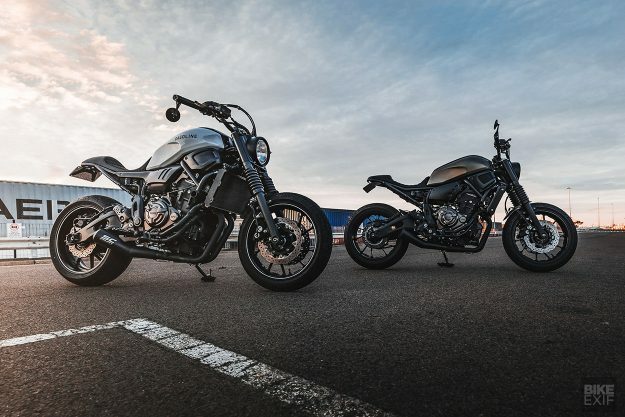 Two custom Yamaha XSR700s by Gasoline Motor Co. Talk to anyone who’s ridden the Yamaha XSR700, and you’ll soon hear how great the bike performs. 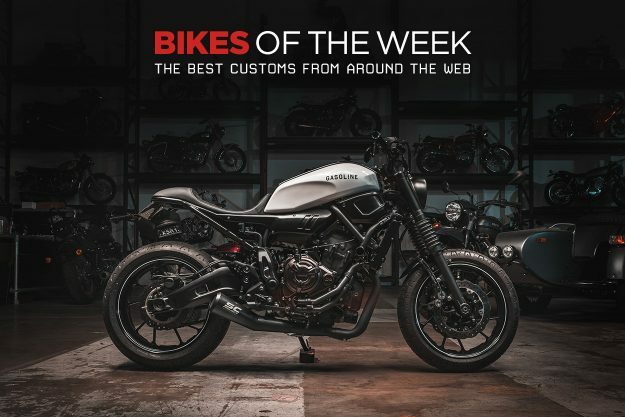 Powered by a 655cc parallel twin, it’s a punchy, nimble and manageable little machine. But it doesn’t tend to score a lot of points in the looks department. With two XSR700s to hand, Gasoline decided to enhance all of the good and replace all that’s bad. 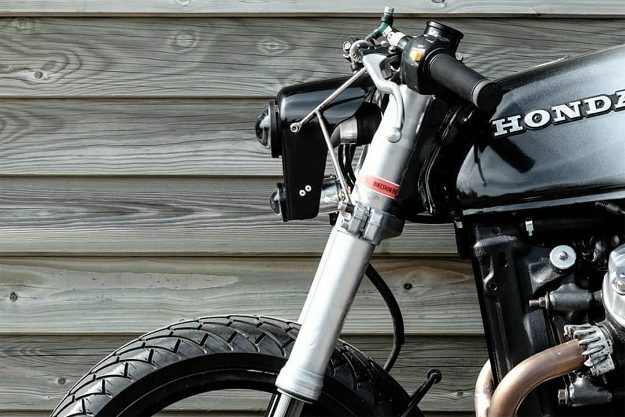 The crew started by ditching the stock subframes, and fitted up custom hooped units from Cognito Moto. If the body kits look a touch familiar, they should: they’re JVB Moto units, with slight modifications to deliver a refined hooligan look. New top clamps were designed and machined up in-house, with Motogadget Motoscope Mini speedos integrated. The ignition is now a keyless m.lock unit and the mirrors came from the Motogadget catalog too. The seat perched on that new tail is a bespoke unit, covered in perforated hide from some old Porsche seats. 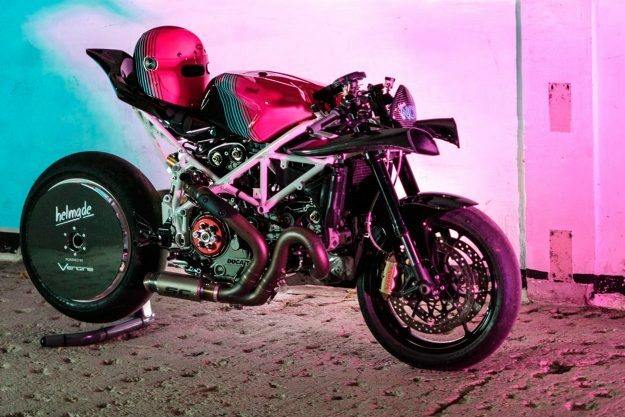 Ducati 999S by Vengine and Helmade Built to run the 1/8th mile sprints at Glemseck, ‘Helmade Noir’ is a German 999S build from a the custom shop Vengine and the helmet customizer Helmade. 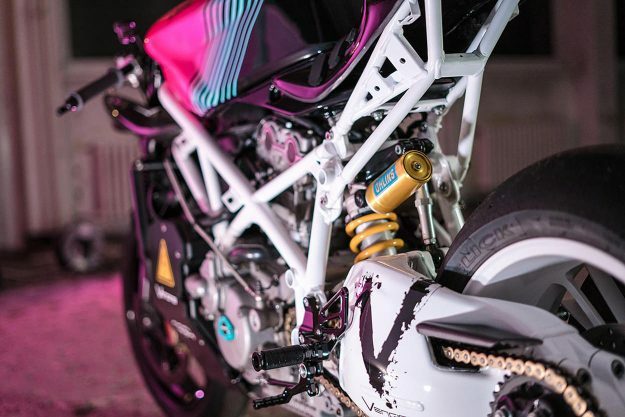 The 80s neon color scheme is inspired by ‘neo-noir’ films like Blade Runner and Ghost In The Shell—and to my eyes is one of the prettiest paint jobs we’ve seen in a while. But to compete in the sprints you need more than fancy lacquer, so this Ducati has been tweaked to deliver speed. 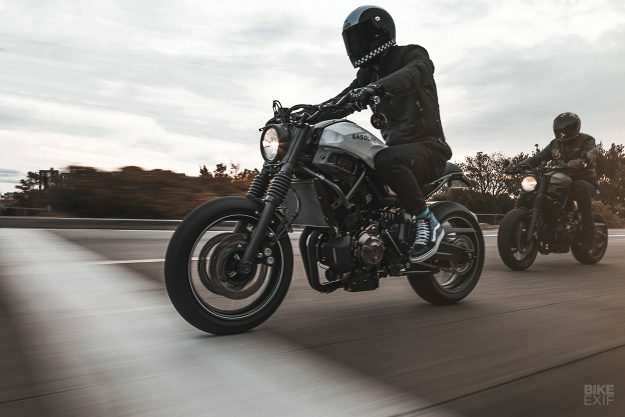 With the help of a custom exhaust using Diavel pipes and a SC-Project can, this sprinter develops 136 hp at the rear wheel. 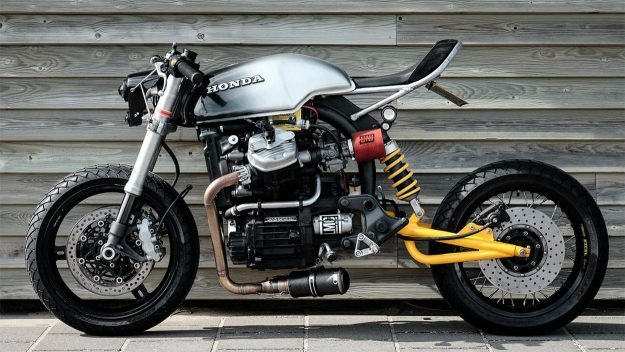 Luuc Muis started off with a rendering and a Windjammer fairing-equipped 1978 CX500 in his driveway, and over the next 18 months, changed virtually everything. The stock subframe is long gone and in its place is an all-aluminum racer’s perch. The tank has been hammered, shortened 5cm and elegantly rolled smooth on the English wheel before being treated to a black-to-white fade. 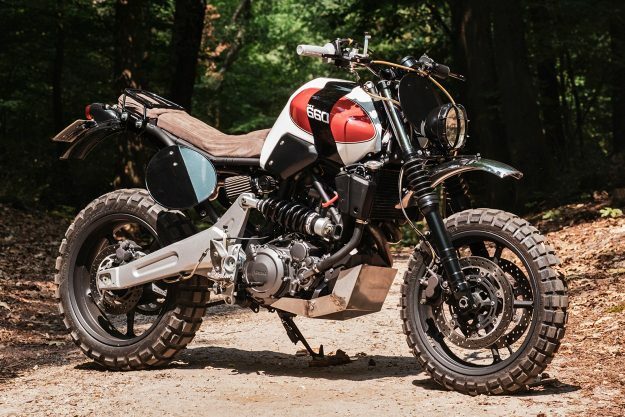 Yamaha MT-03 by RH Motorcycles Few things are better than a custom scrambler that takes off-road performance as seriously as style. 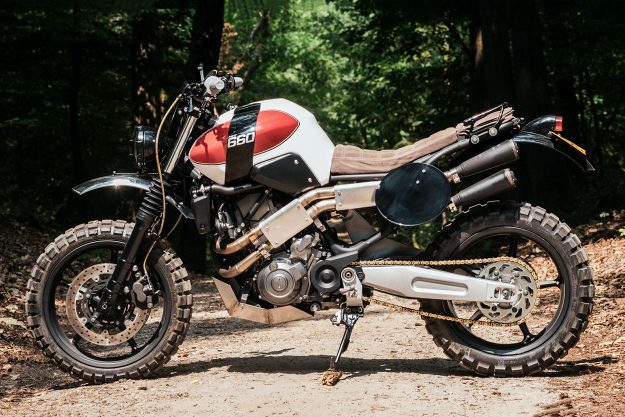 And this Yamaha MT-03 from the Netherlands ticks both of those boxes with big old splotches of mud. 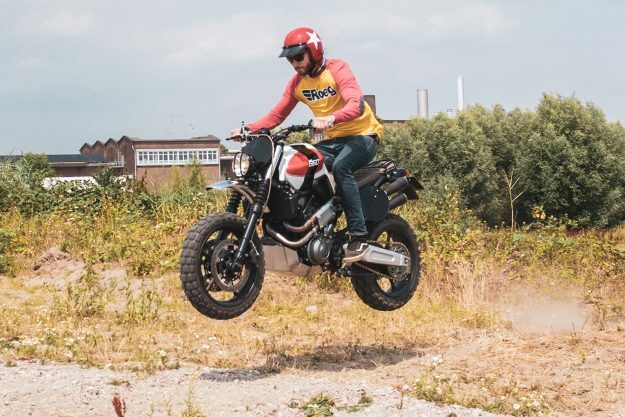 Designed to pay homage to Yamaha’s Dakar-winning XT500, Roy Holtman pulled out all of the stops to make sure the MT-03 won’t balk at rough terrain. The suspension at both ends has been upgraded with units from Wilbers to add travel and cushion, and there’s a beefy bash plate too—because Roy is a fan of Big Air.